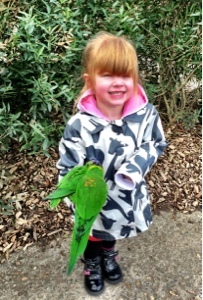 Our trip to Longleat Safari Park was simply amazing. We crammed so much in! 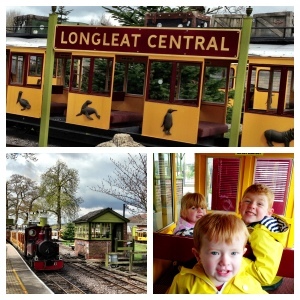 Now at £95 for a family of 4 (plus one free under 3), Longleat is certainly not the cheapest of attractions. It is still cheaper than most UK theme parks though, and I think it's a lot better value. Mainly due to the no queuing! We arrived just before opening time at 10am as wanted to make the most of our day. We didn't have any real plan of action, apart from leaving the safari until the end. First of all we stumbled across the Jungle Kingdom which was full of many weird and wonderful small animals. The highlight for us was the meerkat walk through and my daughter squealed with delight as meerkats were running around her feet. I have never seen her so excited! The thing that impressed me most about Longleat was how close you can get to the animals and how interactive they were. Next up was the monkey temple, and again the tiny marmosets were allowed to run free around you in the enclosure. We were able to get really close. 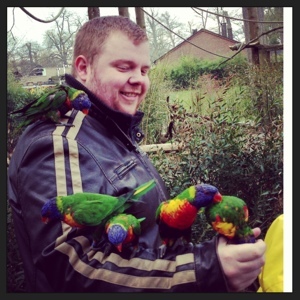 The Lorikeets were also here and we were able to purchase a small tub of nectar for £1 to feed them. The kids loved this, at one point my son had 5 birds on him! The first jungle express train left the station at 11am so we dashed to collect it. This is a lovely little steam train that takes you past the lake containing sealions and pelicans and you can also catch a glimpse of the gorilla's from the train if you are lucky (we were!) The train only took 15 minutes but my 2 year old especially enjoyed it. From the train we decided to take the jungle cruise. There was only a 10minute wait for the next boat which is the longest we'd waited all day. We posed for the obligatory photos (which at £15 we did not buy!) and were entertained by the ducks and a turkey while we waited! The cruise was lovely. First it passes the hippo's and then takes you to Gorilla island to see the Gorilla's but the highlight for us was the sealions. 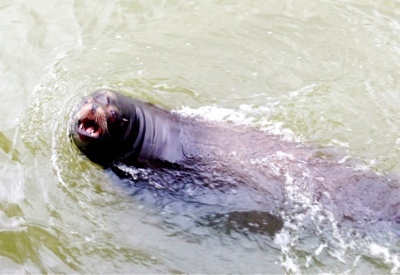 You can purchase a cup of fish for £1 and feed the sealions from the side of the boat. They were so funny and entertaining and my children loved how they would jump and splash us. This was definitely a highlight for us. We had a guide for the cruise who provided us with fun and interesting facts and also encouraged questions from the children which was nice. We needed to calm down after the bat experience so decided to have lunch in the orangery restaurant. The setting was beautiful - think palm trees and floor to ceiling windows looking out onto manicured lawns. We certainly paid for he view though - £35 for 3Xkids sandwiches, Pom bears and juice. 2xadult sandwiches and hot drinks! Than works out at £7 a head! We did expect it to be expensive though and you can take a picnic if you like. After lunch we found ourselves wandering the animal adventure zone - which is a bit like a petting farm with animals and guinea pigs you can stroke. 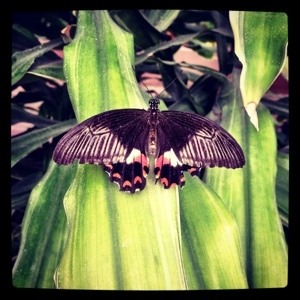 There was also a wonderful butterfly house in this area which was home to thousands of beautiful butterflies. They also had the cocoons of various sizes on display. This place was amazing and a photographers dream. They also had some leaf cutting ants on display and you could use magnifying glasses to see the ants up close. 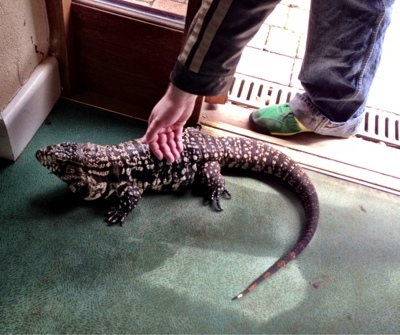 You exit the butterfly house into the animal handling zone, where you can stroke more exotic animals such as iguanas. We were now ready to attempt the maze! 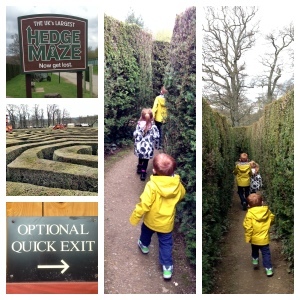 It is advertised as the biggest maze in the UK and I think I underestimated how hard it was going to be! The kids really enjoyed it and were in fits of giggles when we kept passing the same landmarks over and over again but I was getting frustrated at just going around in circles for what seemed like forever! Luckily, a kind man pointed us in the right direction and after about 30mins we found a quick exit. Phew! We headed straight for the deer valley where you could buy deer food for £1 (you guessed it) and hand feed the deers. The deers that are kept at Longleat are actually extinct in the wild which is sad. 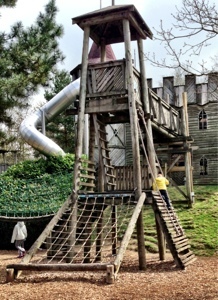 The kids were dying to try out the adventure castle and the sun was shining so we headed here for half an hour so they could let off steam. It is basically an adventure playground but on a huge scale. There was a lot to do from climbing rope walls, zooming on a zip wire to playing in the water zone. This area could be an attraction in itself! There is even a coffee kiosk and plenty of benches for mum and dad to enjoy a much needed break. As we were heading towards our car ready for the safari, we had to do the obligatory gift shop visit! The kids had some spending money from their grandma and were itching to spend it. In the end we purchased a snake soft toy, a gorilla soft toy, a giraffe and tiger beany baby, 2 animal 'slap' bracelets, 3 pairs of binoculars, 2 fridge magnets, 2 animal noise makers, 3 postcards, a mood ring and a car sticker for £50 which wasn't bad. There were quite a bit of the Longleat attractions we didn't explore - either because we didn't feel they were appropriate or we didn't have time. These included the simulator, hunters in the sky show, parrot show, Longleat house and the small fairground. All in all though we had a fantastic 5 hours exploring this part of the adventure park. No queuing, a surprise around every corner and lots of interaction made it worth the ticket price for these attractions alone. Longleat was the best family attraction I have ever visited!